gallery	What is Fascism? Can the “Fascist Germ” Rise to Epidemic Levels in the USA Today? To consider the possibility of the rise of fascism in the United State of America (USA) today, this essay examines the success of fascism in Italy and Germany, where hard times gave rise to labor militancy that morphed into an existential communist threat. But the absence of a revolutionary workers’ party created an opening for reformists and corporate interests to disrupt workers from taking power. Fascism is the most extreme right-wing form of capitalism. In a correspondence dated November 13, 1931, the Russian revolutionary, Leon Trotsky, said that fascism contains a large base, a form, particular traits, and provided an explanation for how it rooted. So, not all fascisms look alike. But Italian and German fascism are similar in how they developed and why they succeeded. When the “normal” organs of oppression fail to stabilize social upheaval, Trotsky wrote “the turn of the fascist regime arrives.” A modern version of fascism consists of an alliance between the government and corporate interests who finance, orchestrate and put in motion uncontrolled “mass gangs” that come from the middles class, working class and poor. Its leaders use socialist demagogy and resort to methods of divisiveness and civil war to purge and annihilate, first and foremost, militant workers and Communists. Then they call for peace. After which fascists are given complete control of all state institutions, including education, the police, the prisons, the military, the courts, the press, social media, and religious institutions. By the fourteenth century, after the declineof the manorial system, Venice, Italy, was the greatest commercial city in Europe. By the early twentieth century, the global economy was in turmoil and labor militancy was on the rise. Workers together with the radical left had identified their enemy and started to organize. By the early 20th century, membership in trade unions, the Italian Socialist Party (ISP), and the anarchist movement grew. After WWI, the ISP membership grew to 250,000, the General Confederation of Labor (GCL) reached 2,000,000 members, and the Italian Syndicalist Union (ISU) had between 300,000-500,000 members. In 1920, all across Italy, over 600,000 factory workers occupied auto factories, steel mills, machine and tool plants of the metal sector, which spread to cotton mills and hosiery firms, lignite mines, tire factories, breweries and distilleries, steamships and warehouses in port towns. What began as a struggle over wages was quickly transformed into a battle cry for a communist Italy. But the ISP pushed the workers to accept concessions in the form of wage increases and shared-management of the factories of which they were already in full control, from Victor Emmanuel (the head of the Italian government) and employers. Then the Italian Communist Party (ICP) opposed the policy of a united front with the ISP against the fascist (who was gaining ground) that was pushed byAntonio Gramsci, the leading Italian Marxist revolutionary, and V.I. Lenin,the leader of the Russian Revolution. The united front was also the position held by the Comintern or Third International (an international organization of communists who advocated for world communism). The betrayal of the workers by the ISP and the ICP allowed fascism to prevail. On October 28, 1922, the March on Rome resulted in Mussolini’s coming to power. Immediately the campaign to annihilate the movement began in Bologna and quickly spread to the countryside and eventually the big cities. 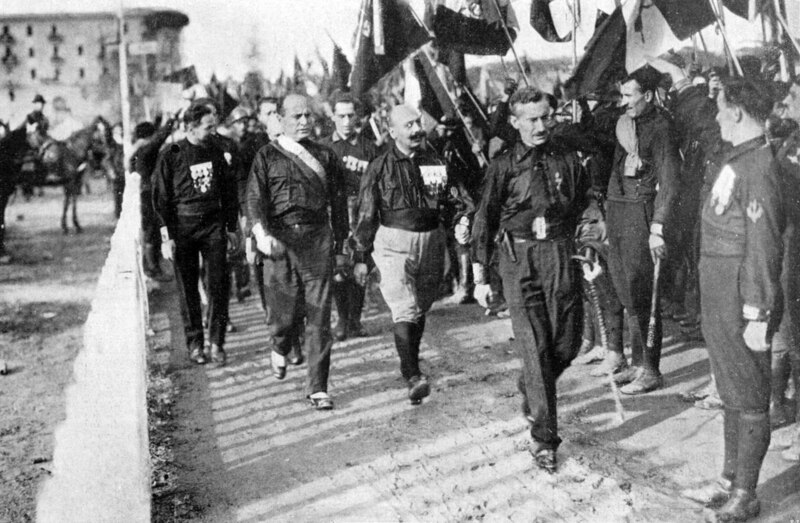 As support for the fascists increased, Mussolini was able to provide support to fascist groups, which terrorized the radical movement and entire communities. As the fascist campaign of oppression intensified with the backing of the police and the army, eventually the left movement was driven underground. The counter-revolution had triumphed. After the collapse of feudalism, Germany was the most vibrant landlocked pocket of capitalism. By the late fifteenth century, it was the main trading route between Italy and Northern Europe. By 1511, Jacob Fugger, banker and professed catholic, was the richest person in the world. Like Italy, Germany’s economy went through a period of rapid industrialization. By the early twentieth century, working class militancy was on the rise. The Communist Party of Germany (CPG) was a major political party between 1918 and 1933. It opposed the war and was committed to world communism. After Germany lost the war, the Kaiser fled and was replaced by the Weimar Republic with the Socialist Democratic Party of Germany (SDPG) in power led by Friedrich Ebert. The Weimar Republic was the democratic government in Germany after the war; 15 years later it voted to hand over power to Hitler. After the 1918 Armistice, the Spartacus League (SL) led a civil war in Germany, known as the Spartacist Uprising, to replace the Weimer Republic with socialism. In response to the uprising, about a hundred years ago, on January 15, 1919, the execution of Karl Liebknecht and Rosa Luxemburg was ordered by Ebert and the social democrats and carried out by the Freikorps (the army of mercenaries of Hitler’s “Protection Squadron”, Schutzstaffel or SS). History: How Did Socialists in Italy Respond to the Advent of Fascism? Between 1912 and 1928, the SDPG and the CPG had broad support from the workers; together they controlled 207 of the 421 seats in the Reichstag, the parliamentof the Weimar Republic. In 1929 the Great Depression sent the economy into a tailspin and in 1930 Hitler’s Nazi Party (formed in 1920) held 107 seats, compared to 12 seats two years earlier. By 1932, with the backing of the corporate class, the fascists were riding a wave of popularity; they held 230 seats and in 1933 they controlled 288 seats. In 1933, the SDPG and CPG controlled 201 seats. By 1930, as the Nazi Party’s popularity grew, the Comintern led by J.V. Stalin, pushed the CPG to adopt a policy of “social fascism”, essentially waiting for the fascist to win in Germany. Social fascism was the term used to refer to those who supported a united front with reformist social-democratic organizations against fascism. Stalin opposed any alliance with reformists; he believed that fascism was not a viable threat and would not last a month, two months, or six months. Ironically, after fascism succeeded, Stalin would push for a Popular Front against the fascists. Hitler banned the CPG immediately after winning the 1933 elections. With the rise of fascism, the corporate class became detached from their traditional parties which they no longer recognized as an expression of themselves and aligned, with the Nazi Party. After the Reichstag fire on February 24, 1933, the Nazi Party launched a wave of violence against members of the CPG, other Left-wing groups, and militant labor unions.Communists, socialists, anarchists and Jews all over Germany were swept up, murdered and/or sent to concentration camps. Can Fascism Rise in the USA Today? National industrialization in the USA was followed by a 230-year militant labor history that started in the late 1700s, peaked in the 1950s, and continues today. It began in 1778 with the founding of the printers union, the textile workers strike in 1935, the suffragette movement which ended with women’s right to vote in 1920, the 1791 Philadelphia carpenters strike for the 10-hour work day, and the 1842 boot makers of Boston conviction for organizing an illegal strike after their employer hired a non-union worker. In a landmark ruling by the Supreme Court of the United States in 1842, the case of Commonwealth vs Hunt, while it did not legalize unions, it ruled that it was not illegal for workers to join together to improve their living standards. The mid-1800s marked the formative years of labor unions and political organizations. The Knights of Labor (KOL) was formed in the 1869, the American Federation of Labor (AFL) in1886, the Socialist Party of America (SPA) in 1901, the Industrial Workers of the World (IWW) in 1905, the Communist Party of the USA (CPUSA) in 1919, the Congress of Industrial Organizations (CIO) in 1935, and in 1955 the AFL and CIO merged. By 1954 union membership grew to about 34 percent of the labor force versus 10 percent today. It was not until 1935, that private sector unions would be regulated by the National Labor Relations Act (NLRA). In the late 1800s, there were hundreds of strikes across the country. In 1886, without the support of union leaders, workers went on strike demanding the eight hour workday. By the 1890s, substandard wages and poor working conditions led the Pullman Railway Union and United Mine Workers to strike, only to be attacked and broken by federal troops. The labor movements of 1920s and 1930s offer some interesting insights into the conditions of the labor movement today. For most of the 1920s the CPUSA focused on industrial unionism, forming a labor party and establishing socialism. During the roaring twenties the government and employers remained hostile toward unions. As a result, notwithstanding the efforts of the CPUSA, union membership and activities suffered a sharp decline. By the late 1920s, organizedlabor was at a crossroads, the radical movement was isolated from organized labor, membership was at a low point, and the economic inequality gap widened. Workers were looking for a solution to their plight. 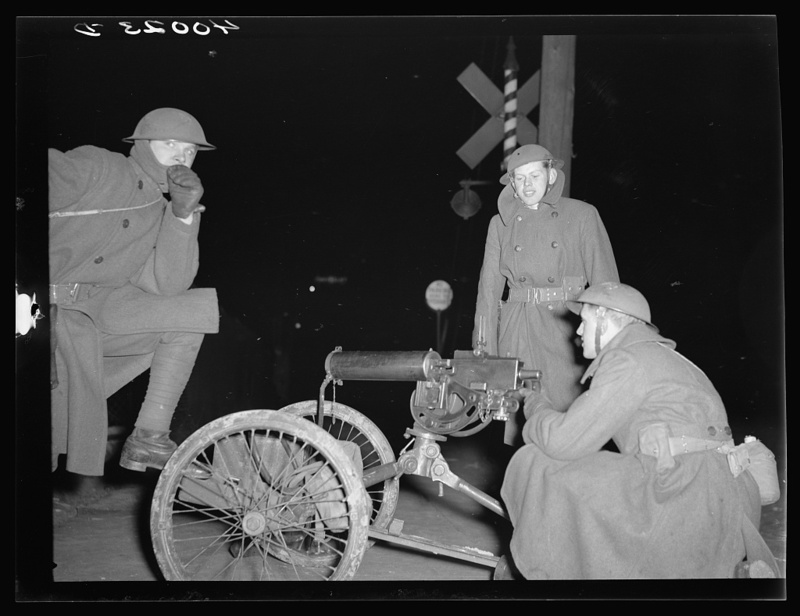 But the post war strikes failed to revitalize the militant fervor of the 1930s. The turning point came as the government, union bureaucrats, corporate interests and the CPUSA agreed to concessions which were soft pedaled as the movement demobilized. In return for higher wages and benefits, the CPUSA encouraged members to vote democratic, support the war and war efforts and pledge not to strike during wartime. The FDR administration’s New Deal provided relief from the effects of the Great Depression. It included public works projects to put people back to work, relief for farmers, and unemployment and social security benefits. As the movement waned, the Cold War led to a campaign to roll-back concessions and purge the communists, socialists, and other radicals from unions and the workplace; many union leaders allied themselves with the purge. The movement came to a halt. Today, as in the 1920s, the labor movement is under relentless attacks by the corporatocracy and the radical movement is disorganized and detached from organized labor. But it is not only the economy that has been brought into question, the rise of far right populism has underscored the inherent weaknesses of political institutions in this country. Also, the recent spate of labor activities from the teacher’s strikes in West Virginia, Kentucky, Oklahoma, Arizona, and Colorado, to the Gilet Jaunes (Yellow Vests) protests in Paris, to the Google workers walkout, to the 40,000 factory workers strike in Mexico are all reminders of labor’s militancy in the USA and globally. Workers are fighting back against a wave of far right populism and attacks against immigrants, patriarchy, automation and precarious employment in the gig economy, stagnant wages, austerity measures, economic inequality which is at dizzying heights, environmental destruction, government and corporate attacks on unions, deindustrialization and global restructuring. One of the challenges for organizers resulting from deindustrialization and global restructuring is the need for scientific consensus on where the next wave of militant labor vanguard will come in an economy in which the service sector is 80 percent. Arguably, while the industrial sector has gotten smaller and corporations have gotten larger, re-structuring has created even greater opportunities for organized labor. Supply chains may be even more vulnerable to strikes, economic inequality has reached staggering levels (8 men own more wealth than the bottom 50 percent of the world’s population), the International Monetary Fund (IMF) fears there could be a global recession, capitalists have run out of tools necessary to reset the system, civic engagement has increased, and isolated protests, strikes and walkouts are ubiquitous and becoming more frequent. These uprisings, many horizontally and self-organized in spite of opposition from union bureaucrats and occurring in some states where public employee’s strikes are illegal, show how much workers are willing to risk as they search for any means of escape from their mare’s nest, which will get worse. This at the very least should attract the attention of the radical Left. The rank-and-file know that the union is more than just a vehicle for collective bargaining, it is an important vessel for building solidarity, class consciousness, a revolutionary workers’ party, and liberation. Anthony A. Gabb, Ph.D. is Professor of economics at St. John’s University, New York. His most recent work include “Financial Oligarchy Feudal Aristocracy” and “The “Gig Economy”: Global Unemployment, Low Wages, Migration, and the Future Workplace”. He has delivered and published dozens of papers, a book chapter, and a book review, interviewed by The New York Times, Corriere della Sera, and has appeared on Chanel 1 New York.